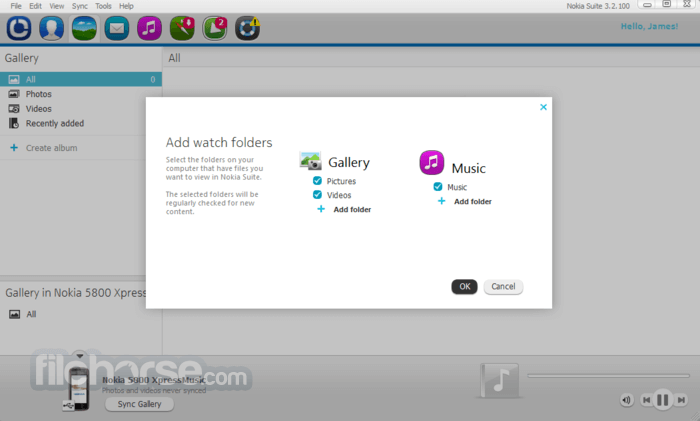 Nokia Suite is a free software that connects your Nokia phone and Windows PC, and helps you transfer content between the two. With Nokia Suite you can use your PC to get software updates for your phone, back up your data, get new street maps and synchronise your music, photos and contacts. Compatible with PC Windows 8, 7, Vista, or XP. The application is multilingual. Use Nokia Suite to move your photos, videos, music, and more between your phone and computer, and to get the latest phone software. Download apps, music, or free street maps, and back up important content. Use Nokia Suite to copy your contacts, calendar, and photos from your Symbian or S40 phone to your Nokia Lumia. Simply copy your content to the Microsoft SkyDrive online service using Nokia Suite, and sign in to your Microsoft account with your Nokia Lumia. To get help and find answers to your questions about Nokia Suite and your phone, open Nokia Suite. In the Help menu, click Nokia Suite help. Or, in Nokia Suite, go to the Support view, and click Help and guides. To find out if your phone is compatible with Nokia Suite, check the instructions below on what you need to install Nokia Suite. Got a Nokia Lumia phone? You can’t use Nokia Suite, but you can sync music, videos, and pictures, and get the latest phone updates with the Zune PC app or the Windows Phone app, depending on your phone model. For more info, see your phone’s user guide, or go to www.windowsphone.com. Got a phone running on the Nokia Asha platform (from Nokia Asha 500 onwards)? 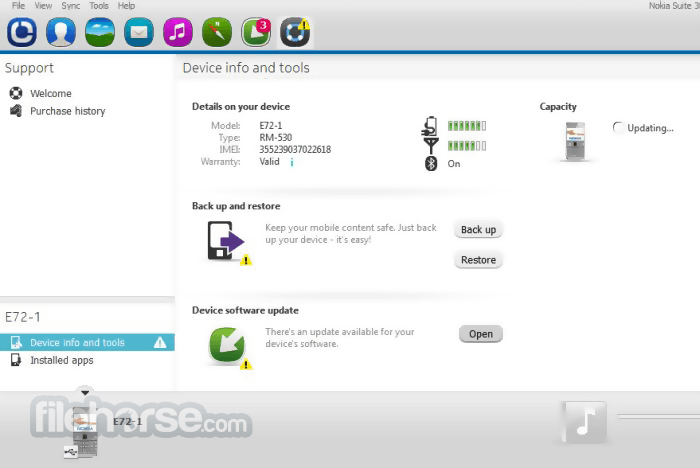 Move your content to your computer using a USB cable and your computer’s file manager, and update your phone software over the air. For more info, see your phone’s support page at www.nokia.com/support. Note: Nokia Suite is meant for the latest non-Lumia phones, such as the Asha family. 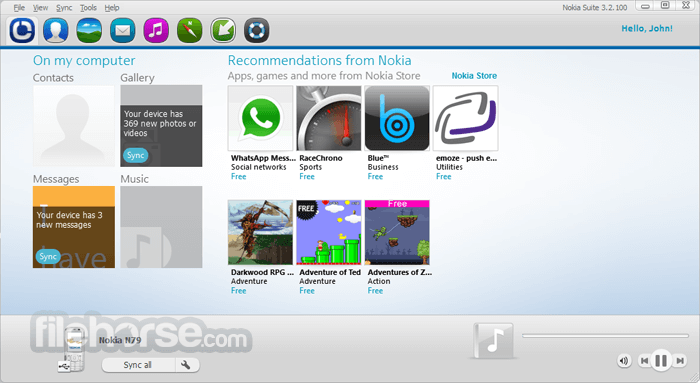 For older models, use Nokia PC Suite.